Here I am again, posting pictures of food. 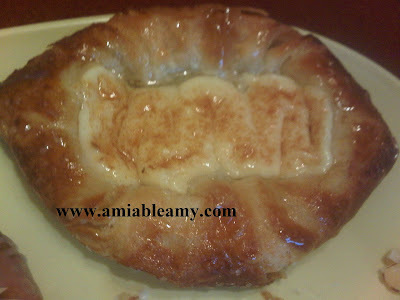 Panera Bread is my favorite place to hang out for one good reason, the food is great. 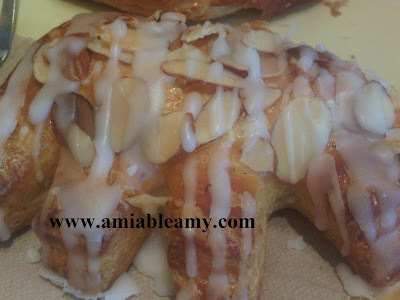 Their bread and pastries are delicious. "Swak sa panlasang pinoy" LOL. Aside from that, this place has Wi-fi and their staffs are friendly. 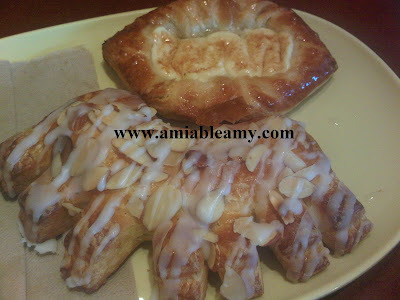 Hubby and I went to Panera Bread today after we pick-up some clothes given by our friend. They wanted to donate some clothing's to the flood victims of Cagayan de Oro (re: Storm Washi). We got three bags of assorted clothing's and this will be given specifically to Baranggay Consolacion. 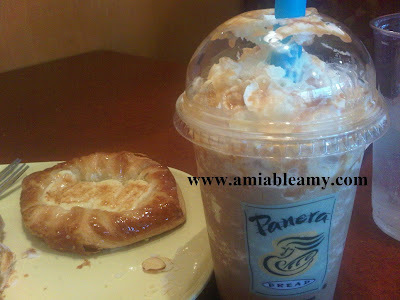 Anyway, hubby and I decided to drive down to Panera Bread at the Millenia Mall. We ordered from the Pick-Two menu and have these bakery foodies for take out. Our friend has tickets for NBA games which contain coupons. He gave us three coupons for pick-two choices and that's worth $6.99/order, not bad huh? We still have two more coupons to use for our next visit. From Panera Bread, we went to finish our banking chores then, we proceed to the airport to see the Air Force One airplane. President Obama visited Orlando today and gave his speech at Magic Kingdom at Disney World. We know that the Air Force One was parked at the back of the airport of MCPO so, we went there. I do not have a good picture of the Air Force One but, it's no big deal. We were there to see the event and it was fun observing the traffic and the people who are trying to get a glimpse of President Obama.